Is This a Case of Teacher Bullying? Do you regard this as a case of bullying or bad judgement? A township teacher who lost her tenured position and whose teaching license was suspended after she made fun of a curse word in a student’s name has lost her appeal. Yvette Nichols had appealed an October decision by the state licensing agency for teachers — the Board of Examiners — suspending her teaching certificate for a year for posting a screenshot on Facebook of an assignment a student had completed, which instructed students to “practice writing my name the kindergarten way.” Nichols’ Facebook post, however, focused on the curse word in the student’s name. The decision does not specify what the student’s name was, or what curse word it contained. According to the Board of Examiners, the school district investigated the allegations and determined Nichols had violated the district’s harassment, intimidation and bullying policy. Nichols later resigned from her position, but she denied bullying the student. One in seven children admit to having bullied someone online – often to try to fit in, a poll reveals. Others claim they turned to bullying to avoid becoming a target of abuse themselves. The charity Action For Children, which commissioned the survey, said many children bully others because of problems in their own lives. The poll, published to mark Safer Internet Day today, found 15 per cent of 2,000 youngsters aged eight to 17 questioned had bullied someone online. Of these, 59 per cent did so to fit in with a particular social group and 43 per cent wanted to prevent themselves being bullied. Some 28 per cent admitted becoming a bully due to peer pressure and 12 per cent said they had done it because they were unhappy. The survey also found that nearly half of the youngsters questioned admitted they had kept silent after seeing or reading something online that made them feel uncomfortable, rather than telling someone. Around one in five said they had kept quiet because they were scared of what a bully might do to them, while nearly half said they were not worried enough to let someone know what they had seen and 17 per cent said they were worried they would get into trouble if they told. 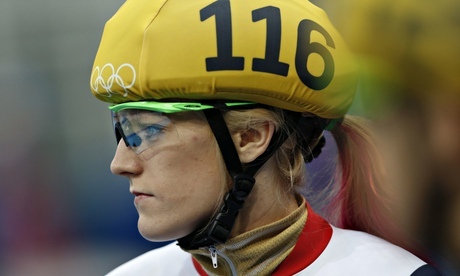 Winter Olympian Elise Christie is facing a tough time at the moment. First she has to deal with being disqualified from her speed skating event for the second time. But if that wasn’t hard enough to contend with, she has the constant threatening abuse by the nameless, faceless bullies hiding behind the anonymity of cyber space. I feel for Ms. Christie and I am appalled at the conduct of those that threaten her, but at the same time, let’s not forget about the thousands of children that get bullied online whom we never hear about. Kids that don’t have the profile, reputation or voice that Elise Christie has. Let’s not simply focus on the heartless attacks of one particular athlete, and instead, let’s lift our game and do something about the ever increasing rates of cyber bullying. There are children out there who feel there is no one they can turn to. We must do something about this as a matter of extreme urgency. Many experts agree that intent and context are important, too. If the behavior was intentional, that’s clearly cyberbullying and there should be consequences. But if a kid inadvertently hurts another kid, then he or she may just need to learn better online behavior. Either way, if your kid feels bad as a result of someone else’s online actions, then they may have been targeted and you should take it seriously. Kids’ conversations can be rowdy and rude. But if they’re not deliberately (and repeatedly) designed to inflict cruelty, and no one feels wronged, then chalk it up to juvenile antics. But keep an eye on it. Online messages can be more confusing or scarier than in-person communication because there are no face-to-face cues to help you understand people’s intentions. Helping kids recognize bullying will help them learn to better deal with it. Kids may use more hurtful and extreme language online than offline. It’s not uncommon for cyberbullies to say things like “I wish you would die,” “You’re ugly,” and “Everybody hates you.” If a kid said these things out loud in public, a teacher, a parent or even another kid would probably overhear and intervene. Cyberbullying can happen anytime, whereas regular bullying generally stops when kids go home. Your kid could get a text, an email or see a post — or posts — on Facebook at any moment. Cyberbullies sometimes act anonymously, whereas, with traditional bullying, it’s often clear who the bully is. Anonymity is a cloak that bullies hide behind. Not only does it encourage the bully to be more brazen, it makes him or her hard to trace. In-person bullying can cause both physical and emotional harm. Cyberbullying causes “only” emotional harm (though it can lead to physical bullying, as well). A. Usually, cyberbullying is characterized by repeated cruelty. Whether this was a thoughtless, one-time prank or a more deliberate act of cruelty, it sounds as if your kid was humiliated over and over as every kid saw the picture. That’s what matters most. Hopefully, the kids’ parents were notified and your kid recovered. Q. How do you have the conversation with another parent about their kid’s bullying? A. If your kid is bullied by someone he or she knows, you should probably talk it over — face-to-face — with the kid’s parents. These steps can help you achieve a cooperative conflict resolution that will get everyone working together. Schedule a meeting. While your impulse may be to confront the kid’s parents immediately, it’s better to set a time to meet and discuss the situation in a civilized manner. Explain that you’re there for your kid. Say that your kid reported the incident and you wanted to follow up. That takes the heat off of the parents and allows you both to discuss your kids’ actions. State your goal. Yes, you’re angry and hurt, but your goal should go beyond blaming. You want to end the bullying and have your kids stop engaging in destructive behavior. Let the other parent talk. Hear them out; they may have information that you don’t know. Talk about next steps.Create a plan for how to proceed as well as a check-in schedule so you can see how things are progressing. Depending on whether things calm down or escalate, you may need to bring in a neutral party — a teacher, counselor, even a community leader — to deal with the problem and help you all move forward. More than half of children and young people in England accept cyber-bullying as a part of everyday life, a new survey has found. But parents and teachers say they do not feel they are equipped to deal with the growing problem of internet abuse. Campaigners warned that cyber bullying had become ‘an everyday problem for today’s children’ and demanded better education to tackle the phenomenon. More than half of children polled – 55 per cent – said cyber-bullying had become a part of life for children and young people, while 60.5 per cent of parents also said it had. Keeping their children safe online is a major worry for parents, with 49 per cent complaining that the amount of access their child has to the internet leaves them struggling to monitor their behaviour online. And 51 per cent say this makes them scared for the safety of their child. 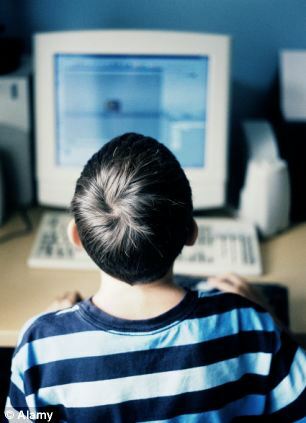 However, the poll suggests that many families would struggle to respond if their child did fall victim to internet abuse. Some 40 per cent of parents said they would not know how to respond if their child fell victim to cyber-bullies or how to set up filters on computers, tablets and mobile phones that could protect their children. There were growing calls for online safety to be taught in more schools, with 69 per cent of teachers and 40 per cent of young people calling for it to be included in the national curriculum. Nearly half of teachers – 43 per cent – admitted their school did not currently teach anything about cyber-bullying and online safety and 44 per cent admitted they did not know how to respond to cyber-bullying. Almost a third – 32.1 per cent – of young people said that teaching schools, parents and children about internet safety would be the biggest step that can be taken to tackle cyber-bullying, yet just a fifth of children felt they were taught enough about it at school. The major new survey, commissioned by the Anti-Bullying Alliance, underlines the struggle many families face trying to protect their children on the internet. Click on the link to read Who is Going to Do Something About Cyberbullying? Not enough is done to confront the issue of gossiping at classroom level, even though it is a significant factor in bullying (cyber related bullying in particular). Gossiping does monumental harm in the classroom. It is divisive, negative and presents enormous problems for a teacher trying to improve the mood of the class and confidence levels of each student. It is used by millions of people to stay in touch with friends and family. 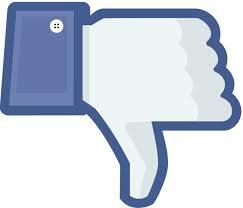 But far from brightening their day, Facebook could be making its users more unhappy. 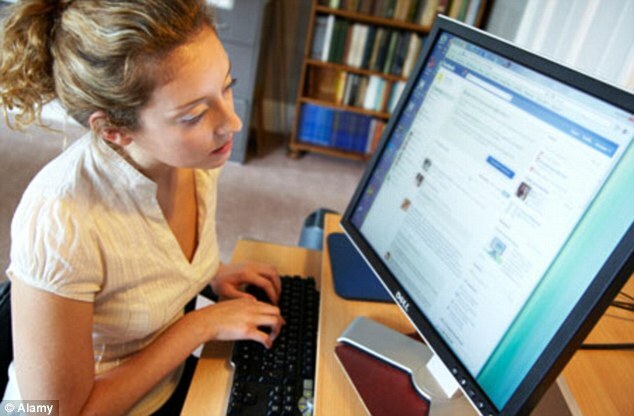 Scientists have found the more time individuals spend on the social networking site, the worse they subsequently feel. More than one in three Britons use Facebook every day, with 24 million logging on to share their latest goings on. ‘On the surface, Facebook provides an invaluable resource for fulfilling the basic human need for social connection,’ said lead researchers Dr Ethan Kross, a psychologist at the University of Michigan. ‘But rather than enhance well-being, we found that Facebook use predicts the opposite result – it undermines it.’ Research carried out earlier this year at the University of Chester suggested Facebook friends are no substitute for the real thing. It found people are happier and laugh 50 per cent more when talking face-to-face with friends or via webcam than when they use social networking sites. And the current study backed these findings, with participants who had direct interactions with other people feeling better over time. In contrast, the more individuals used Facebook during the period, the greater the reduction in their life satisfaction levels. ‘This is a result of critical importance because it goes to the very heart of the influence that social networks may have on people’s lives,’ said co-author John Jonides, a cognitive neuroscientist at the University of Michigan. The research, published in the journal Public Library of Science ONE, looked at the browsing habits of 82 young adults, all of whom had smartphones and Facebook accounts. British children are suffering thanks to an epidemic of online bullying – with the number of calls to ChildLine from victims almost doubling in just one year. In 2012/13, a total of 4,507 children – around 12 a day – rang the helpline to complain they were being abused by peers on social networking sites. That is up a startling 87 per cent from the 2,410 calls the year before, with the head of the NSPCC revealing many were ringing in ‘utter panic’ after suffering months of ‘torment’. Girls are three times more likely to call than boys and, worryingly, one in six calls are received from children aged 11 or younger. The revelation follows the death of 14-year-old Hannah Smith, who hanged herself on Friday after months of abuse on the internet. 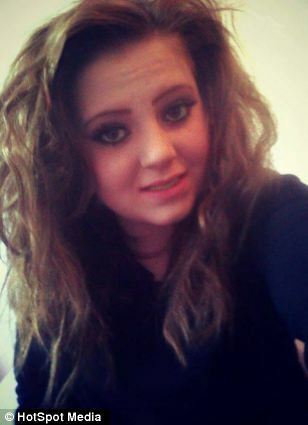 Her father said he had found bullying posts on his daughter’s ask.fm page from people telling her to die. She had been urged to ‘drink bleach’ by her anonymous tormentors and taunted over her weight, the death of an uncle and an apparent propensity to self-harm.The notorious ask.fm website – described as a ‘stalker’s paradise’ – has been linked to at least four teenage deaths over the past year. Now an analysis of calls received by ChildLine show that these victims are far from alone – and that cyberbullying is now one of the fastest growing issues young people contract them about. 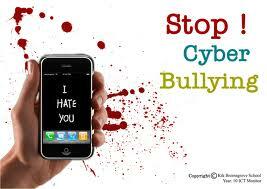 Click on the link to read Should Schools Intervene to Stop Cyberbullying?